If you’re gluten intolerant, you can still eat very well in Kyoto. It just takes a little caution and effort. Here is our complete guide to gluten-free Kyoto. In a hurry? Scroll down for restaurant picks and useful phrases. Otherwise, start with the following important background information. 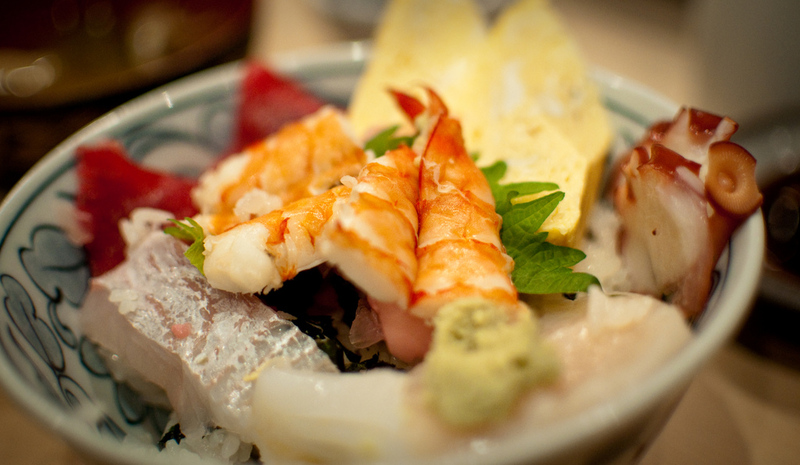 And, if you’re going to Tokyo, check out our Gluten-Free Tokyo page. Despite the fact that rice is the traditional staple of the Japanese diet, gluten is present in a lot of Japanese food. The main culprit is soy sauce, which is usually made with wheat. Soy sauce is used both in the preparation and consumption of a LOT of Japanese dishes, so beware! 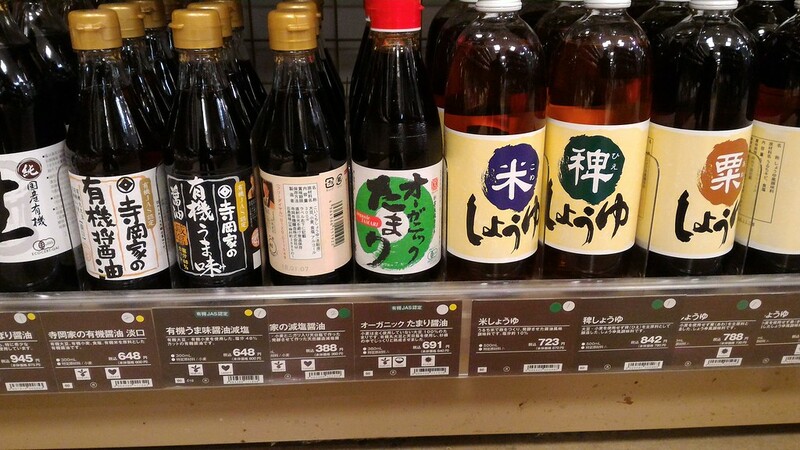 Gluten-free soy sauce is available in Kyoto and we give the details of where to buy it below, so keep reading. When traveling in Japan, you should remember that few Japanese have heard of celiac disease or gluten intolerance. Compared with Westerners, very few Japanese suffer from this condition. Also keep in mind that Japanese diners are very unlikely to ask a chef or a restaurant to modify their dishes. Indeed, most Japanese would consider it rude to do so. Therefore, do not be surprised if a restaurant refuses outright to accommodate your needs. Don’t get angry: Just look for another restaurant that will (see some of our recommendations below). Unlike their counterparts back home, Japanese convenience stores sell a wide variety of good, edible food. 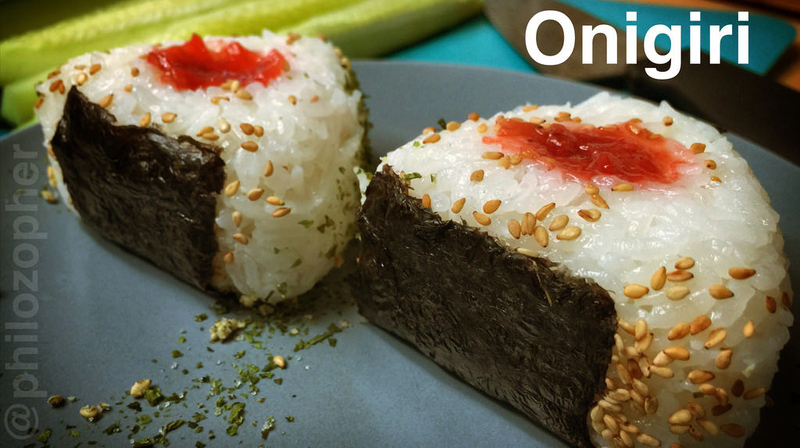 Onigiri (rice balls) made without soy sauce are a good choice for snacks. Some convenience stores also sell hard-boiled eggs, which make a good breakfast when paired with onigiri. 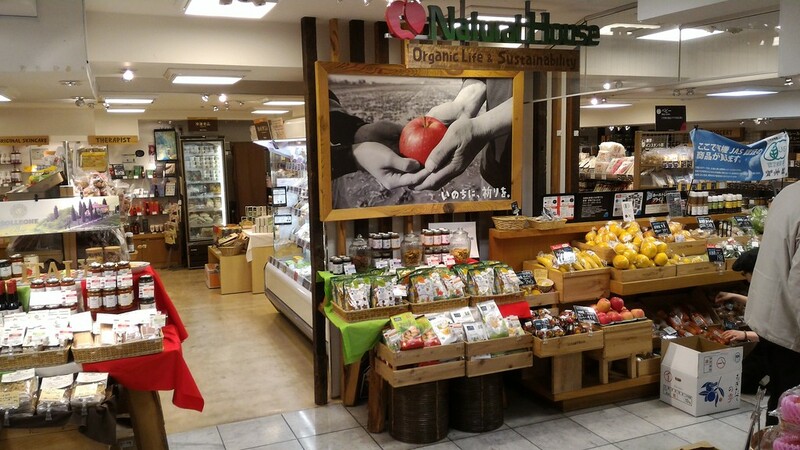 Department stores like Daimaru and Takashimaya (both downtown) and Isetan (at Kyoto Station), have basement food floors where you can choose from a huge selection of raw and prepared foods. Some good choices are the ready-made sushi assortments, the fruit and vegetables, and the Japanese sweets made with mocha and sweet beans. 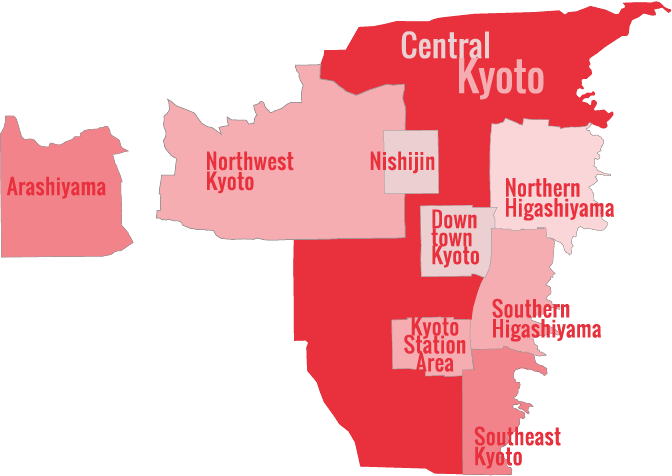 You’ll find automatic sushi restaurants (conveyor belt sushi) both downtown and at Kyoto Station. Most of the dishes are safe here, but be careful of items like unagi (eel), which is slathered with a sauce that contains soy sauce. Most yakitori restaurants will give you the option of having items prepared “shio yaki” (cooked with salt) rather than the standard sauce (which contains soy sauce). You can easily ask if this is possible. While many Japanese restaurants are completely unfamiliar with the concept of gluten-free, the staff at most vegetarian and vegan places will at least have heard of it. However, only about half will have gluten-free dishes on their menus. We list two good vegan/vegetarian restaurants below that offer gluten-free choices. 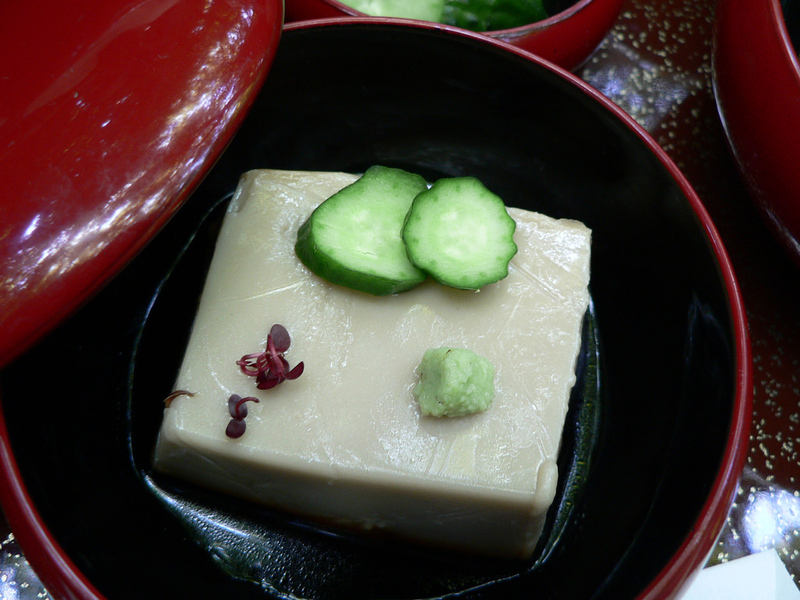 Tofu is generally a safe choice in Japan, but beware of tofu dishes that contain soy sauce. It helps to ask when you enter. These are some of our favorite gluten-free restaurants in Kyoto. Note that not all the dishes they serve are gluten free. But, the staff at these places understand gluten free and celiac disease and at least some of their menu items contain no gluten. Choice: Located on Sanjo-dori Street, just a short walk across the river from downtown, this vegetarian/vegan restaurant is entirely gluten-free. The menu is in English and the staff is very well aware of the needs of gluten-free diners. Highly recommended! Kushikura Honten: Located downtown, on the north side of Oike-dori Street and within walking distance of Nijo-jo Castle, this yakitori restaurant is able to serve most of their dishes as shio-yaki (salt flavored). Because gluten-free diners have been frequenting this place, the staff is usually aware of the concept of gluten-free. 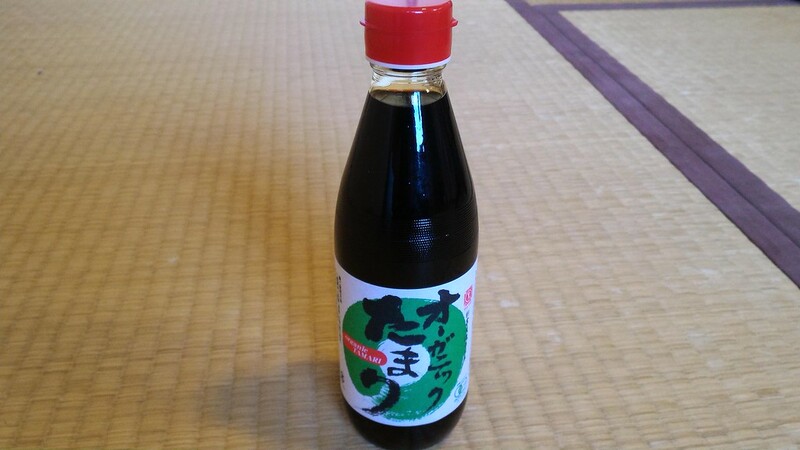 One great way to enjoy the real taste of Japanese food in Kyoto restaurants or back at your lodgings is to carry your own bottle of gluten-free soy sauce (or, actually, tamari, which is similar). Fujii Daimaru Department Store is the place to go (note: this is NOT the same as Daimaru Department Store). 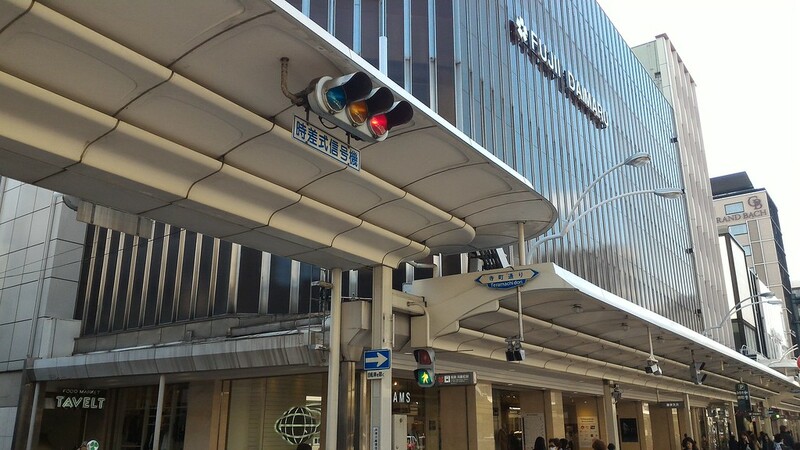 Fujii Daimaru is in the middle of downtown, on the south side of Shijo-dori Street, on the west side of Teramachi-dori Street. When you get there, go down to the basement food floor and look for the Natural House section. At the back of the store, you will find the soy sauce (shoyu) section. Then, look for the product pictured below (or simply show this picture to a member of staff).